An Oklahoma man who was involved in a fight with a policy adviser to President Barack Obama apparently misrepresented himself earlier this month in several phone interviews and an email exchange with The Durango Herald. Barrett Dahl, 28, apparently pretended to be his father, Mike Dahl, in relaying events of a physical altercation between him and William Mendoza, the executive director of the White House Initiative on American Indian and Alaska Native Education. The fight occurred Oct. 30, 2015, in Washington, D.C. The Herald first reported on the incident Aug. 10, after a man identifying himself as Barrett Dahl’s “father” brought it to the newspaper’s attention. The article attributed Mike Dahl as saying his family owes thousands of dollars in medical bills, and it attributed several quotes to Mike Dahl characterizing his views on historical representations of Native American mascots. Another man contacted the Herald Wednesday, and also identified himself as Barrett Dahl’s father. He said he did not make the earlier comments, and he had never before spoken with anyone at the Herald. He declined to comment further. He sent the Herald a copy of his driver’s license to offer proof it was him. Barrett Dahl did not return a phone call or email Wednesday seeking comment. The Herald received an email from hotmexican4u@gmail.com that made allegations against Mike Dahl that were unrelated to the initial story. It did not address the Herald’s questions about whom was speaking in previous phone conversations or who authored an email sent under the name Mikel Dahl. According to a police report, Barrett Dahl and Mendoza fought each other at the Gaylord National Resort & Convention Center in Washington. They were attending a powwow sponsored by the Society for Advancement of Chicanos/Hispanics and Native Americans in Science. Barrett Dahl was there as part of a field trip with Fort Lewis College. Mendoza said he attended on his own volition. 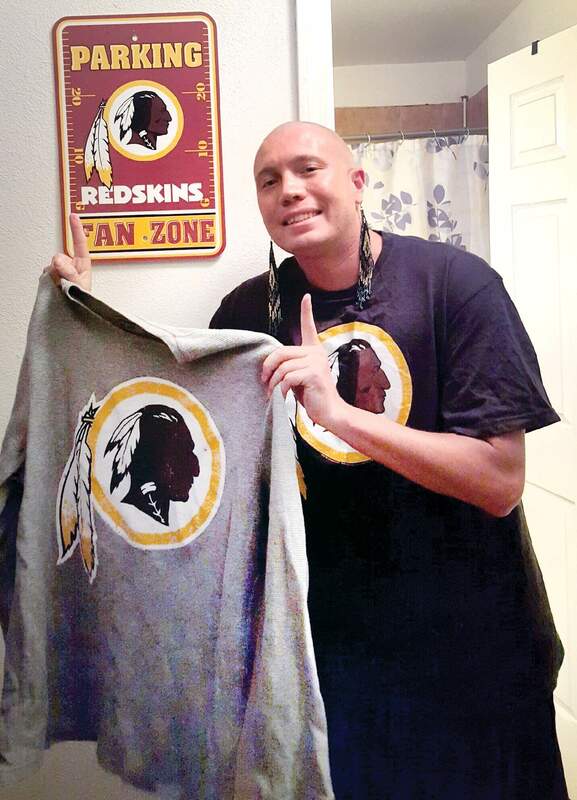 Mendoza, a political appointee within the U.S. Department of Education, said he approached Dahl to strike a conversation about Dahl’s Redskins jersey, which he said read “Injun Pimp” on the back. Mendoza has been outspoken against the use of Native American mascots in sports. Both men gave different accounts of how the encounter escalated into a fight. More than a dozen news outlets have picked up the story, including two television stations out of Oklahoma City, which interviewed Barrett Dahl on camera. In reporting the initial story, the Herald asked to speak directly to Barrett Dahl, but the person on the phone who identified himself as Barrett’s “father” didn’t make him available for comment. Instead, Barrett Dahl emailed a written statement from his email address, barrettdahl@hotmail.com, recounting his version of events, which were attributed to him. Barrett Dahl also emailed numerous photographs and medical records, which are believed to be authentic. But a second email sender, redskindad@outlook.com, with Mikel Dahl’s name in the sender line and signed by Mike L. Dahl, is not believed to be legitimate. Mendoza’s lawyer, Mark Zaid, said Barrett Dahl’s deception further discredits his version of events at the Washington hotel. Former Fort Lewis College student Barrett Dahl poses with his Washington Redskins memorabilia at his home in Oklahoma. Dahl was involved in a physical altercation with William Mendoza, a political appointee within the U.S. Department of Education, on Oct. 30 at a powwow in Washington, D.C. Mendoza approached Dahl about his Redskins shirt, saying it is offense to Native Americans. Barrett Dahl, 28, apparently pretended to be his father, Mike Dahl, in an interview with The Durango Herald earlier this month.